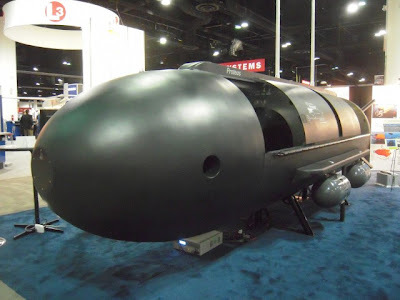 As a continuance to my "Clone the Drone" post, I wanted to update you all on a new line of Suicide Submarines that the Iranian terror machine has produced. This new line of subs are designed to attack the Western fleets in the Persian Gulf and especially the ones patrolling the straights of Hormuz. These subs can be maneuvered by a suicide diver (They are not completely automatic drones like the US fleet has) who will doge any anti sub measures and will direct his sub bomb towards the soft belly of any major US ship to destroy it. I hope our underwater radar and sonar systems will have enough time to intercept these terrible new weapons. Kaiten. 112 men killed. These were very fast and were launched off of the deck of a Mother Sub. In this case, the I-53, Sister of the infamous I-58 which sunk the Cruiser Indianapolis a week later.